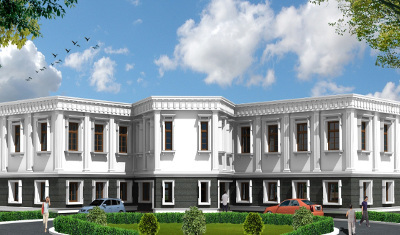 It was the expressed desire of the Confreres of South Indian Province to construct the Provincial House at Vijayawada. Since the Congregation did not have any plot there, Most. Rev. Marampudi Joji - the then Bishop of Vijayawada granted a building at Christurajapuram, Vijayawada for the temporary use. Thus, in April 1998, the Provincial headquarters started functioning from there. And on 26th May, it was erected a Canonical House and Fr. Varghese Purackal was appointed its first Superior. Since an appropriate plot could not be acquired for the Provincial House, it was decided to shift the venue from Vijayawada to Mysore and on 29th September 1999, the Provincial headquarters was shifted to Bannimantap, Mysore where a building was purchased for the Provincial House. His Excellency Rt. Rev. Dr. Joseph Roy, then Bishop of Mysore blessed the House on 16th October 1999.